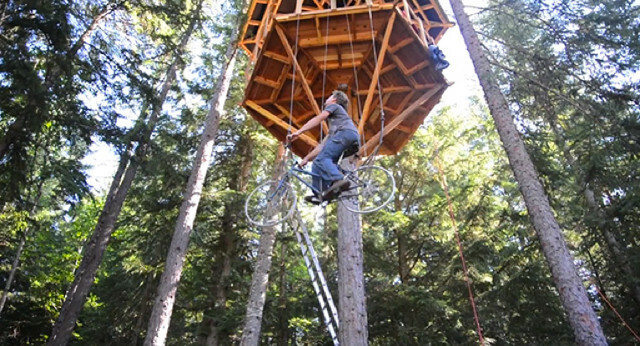 After building his 30 foot high treehouse, Ethan Schlussler built a bike lift for access. 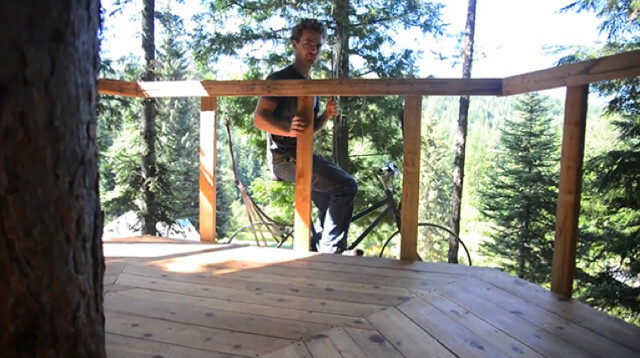 Designed for up and down along a chain, the bike elevator is activated when you pedal. 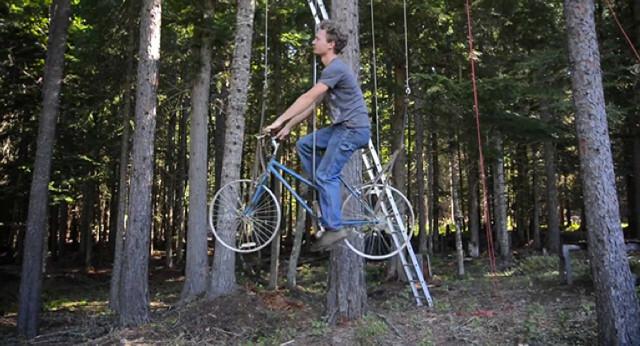 An amazing installation to be discovered in images and video in the article.